Mahjong Time is continually improving its EON platform, and bringing you the best Mahjong experience! December is another breakthrough month in software improvement at Mahjong Time. This month we are taking the game archive and riichi rules to a whole new level. The most striking change in this update is the ability to view the entire game as it unfolds. The game is presented via a camera that moves from one hand to another, same as you would watch live coverage from an offline tournament. The Magic of the Holidays never ends, Mahjong Time is very excited to introduce Washizu Riichi rules. Washizu riichi rules are played with some of the tiles being transparent. In this version of the Washizu game, we have half of the tiles transparent. There are two tiles in each set that are transparent. Example: two transparent dragons, and two solid, two winds transparent and two solid, etc. Washizu rules are your chance to try to play a game with nearly perfect information. Just like in the real game, the online Washizu game lets you see opponents’ transparent tiles. Although it is easy to see the hand of the player across, it is harder to recognize the tiles of the players who seat on your left or right. 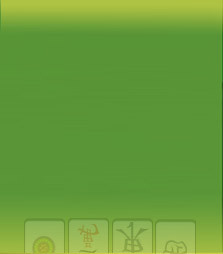 Thus, Mahjong Time added the ability for players to 'turn their head' to have a better view of player's hand who seat on the left or right. Click '1' to 'turn your head' to see players hand on your left and click '2' to 'turn your head' to view player's hand on your right. Washizu Beta Marathon (the Marathon ) is a ten-day-long online tournament.